Co-Optimus - News - How Have Weeklies and Nightfall Improved With The Taken King? Destiny: The Taken King has released and the changes are considerably impactful from top to bottom. Developer Bungie has decided to retool just about every major component of the game, including the endgame PvE activities Nightfall and Heroic Strikes. The major reason for the big change is so that the events in Destiny feel like less of a chore. 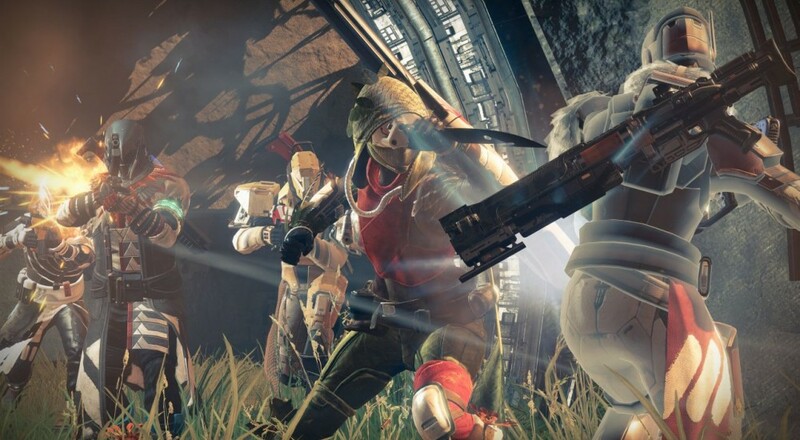 According to Creative Director Luke Smith the team did not like the way players feel they need to do the Nightfall right away, they want to change that. The new improvements for Nightfall mean your Fireteam will no longer return to orbit when the Nightfall is failed. No more sitting through load screen after load screen as some sort of unnecessary penalty. The individual death penalty will be changed into a 30-second revive timer, just like in Raids. Enemy damage types will also change on a weekly basis in order to encourage players to change their armor and strategy. Moving on to the Weekly Heroic Strike, it has been completely taken out of Destiny at the moment. In its place is a new Vanguard Heroic Playlist that awards Legendary Marks as well as allows you to get a Legendary Engram for finishing your first weekly. Currently the new playlist doesn't have a cap for how many Legendary Marks you can collect in one week, but that might change later down the road once Bungie sees how the community adapts to it. Bungie hopes that all of these improvements along with the Taken King story will give its fans everything they expected from a Destiny DLC. One thing to note about the new Nightfall and new Heroic Strikes is that players are required to reach the new level cap of 40 as well as beat The Taken King's story campaign to take part in them. Destiny: The Taken King was released on September 15th, 2015 for PS3, PS4, Xbox 360, and Xbox One. It continues the same Destiny co-op tradition with tweaks to make the experience a lot more fun for you and two other friends.